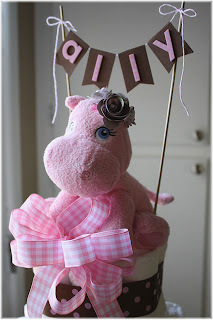 When I took on the project of constructing a diaper cake for a friend's baby shower, I had no idea that it would take me two days...sometimes you just wish that you weren't quite so OCD...it turned out so cute though. 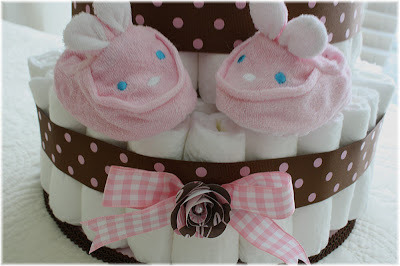 I've seen the elaborate and the over-the-top-elaborate diaper cakes, but elaborate does not describe my friend, Kristi. She doesn't like a lot of clutter, so neat-and-simple was the way that I decided to go. Wowee! I received my LYB Head of the Class goodies this week...such FUN to work with! 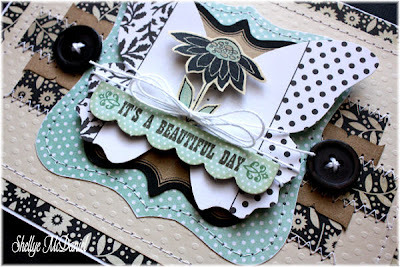 I will share it here just as soon as it goes live on their blog, so be sure to check back. I created a mini album and there was some cork-board involved *wink* I had a blast and look forward to doing more projects with the material. I have a plethora (one of my all-time FAV words) of cards stacking up...I will be listing some of them at my Etsy shop soon! We begin our district play tonight in football...had last Friday off...not fun. I think the consensus is that we just need to forgo "off" weeks LOL The boys are itching to get out there and play. Zach's 8th grade team is still undefeated; they have not lost a game since they began playing together in the 7th grade. So, I need to get my sparkly orange and black BEARS shirt ironed and get ready to head out to feed the team. I hope to be sharing my LYB project with you very soon! That is a fabulous diaper cake, I made one for my SIL and with Winnie the Pooh and she loved it. And good luck to the teams! 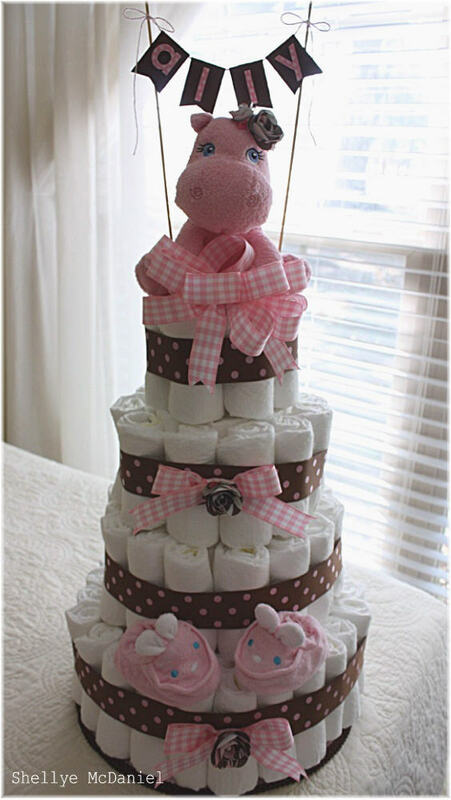 Fantastic diaper cake. I adore the colors you used:) Absolutly wonderful! I always make my husband wrap the diapers. That is the most time consuming part. I love the decorating the best!! 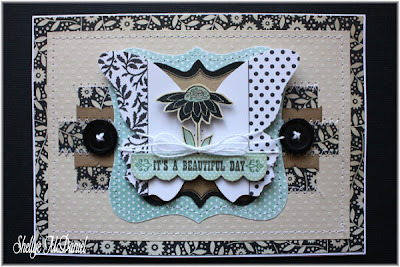 This turned out fabulous!!! Awesome cake! I think I would take a few days to roll those little diapers too. I get the whole OCD thing. 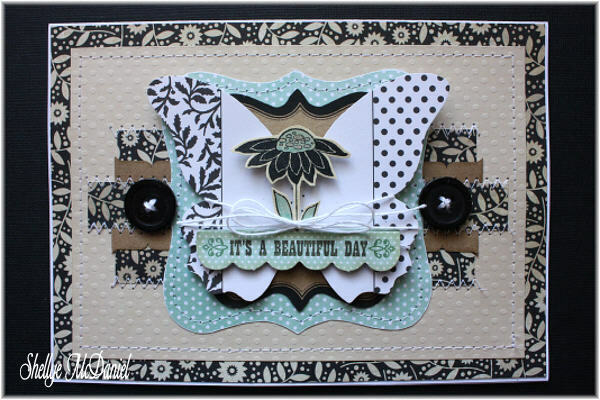 Love the layers on your card. Wow! Amazing Creation!.. love the diaper cake, so adorable. You card look amazing. Oh my goodness! I am sure your diaper cake was well loved-That looks so pretty!!! Love your nook card too and cannot wait to see what you do with the LYB goodies! Hi Shellye! So glad I found your blog. I hopped over from the LYB blog. Your mini albums are SO amazing! They have inspired me to try more mini's :) I'm now one of your blog followers.